To view the best panel beaters in Castle Hill, click on the profiles below. To get obligation free quotes from any of these service providers for the repair service you are after, simply use the "Compare Quotes" option above and below. 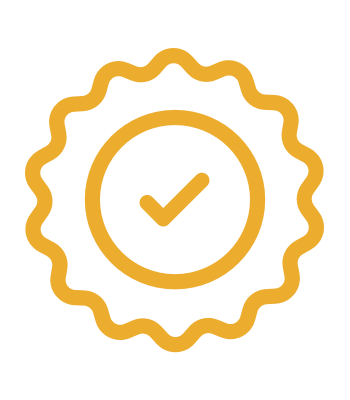 Priority Smash Repairs believes that premium service doesn't have to have a premium price tag. We provide quality panel beating, painting, and repair services to return your car to its original condition, but our efficiency and experience means we can keep prices down. Priority Smash Repairs has built its reputation on results. Our customers leave satisfied that they've received top quality smash repairs. Our team of car enthusiasts love their work, are highly trained, and extremely professional. We're passionate about making your vehicle look 'as-new', so drop in and see us in Parramatta for an estimate Minor car accidents can be extremely frustrating, leaving your vehicle out of action for extended periods. Priority Smash Repairs works to offset that frustration by providing surprisingly quick turn-around times. Our team in Parramatta, Sydney will get the job done before you know it, but with the highest levels of care and workmanship. 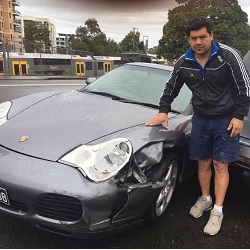 With over 30 years of experience, Collision Repair Centre has been providing top quality car smash repair and spray painting services to clients throughout Castle Hill, Baulkham Hills, West Pennant Hills, Cherrybrook, Glenhaven, Dural, Kellyville, Bella Vista and Sydney. Collision Repair Centre has a team of qualified, licensed and insured technicians who are committed to exceeding your expectations every time. We understand that when it comes to business, time is money. For this reason, we go above and beyond to complete the work right the first time To ensure your complete satisfaction, we tailor our services to suit your individual needs. Rest assured, your vehicle is in safe and competent hands. Absolute Smash Repairs has the equipment and expertise to repair and maintain your automobile. 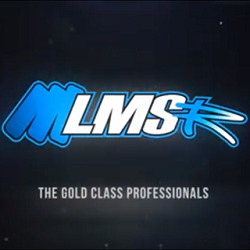 Our emphasis is on transparency and professionalism. 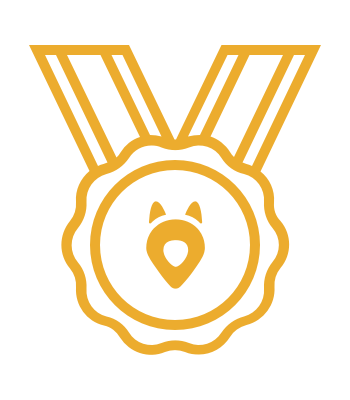 We pride ourselves on performing the highest quality automobile servicing as quickly and efficiently as possible - something all our customers appreciate. After all, OUR WORK IS BASED ON RECOMMENDATIONS. When Absolute Smash Repairs was founded in 2000, we strived to set up the best smash repair in the Hornsby area. Using our unimpeachable knowledge of panel beating and an unparalleled foundation of business, we have reached the summit of fixing cars. 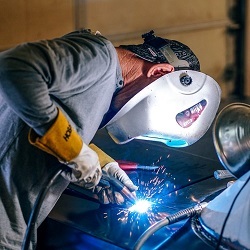 We specialise in removing and repairing damaged panels, making panels to replace the damaged ones, repair dents with fillers, grinding, filing and sanding to ensure a smooth vehicle surface and re-fit body hardware. Any time an accident knocks on the bonnet, leave your cars to transform into a flawless beauty with the pros who really care. 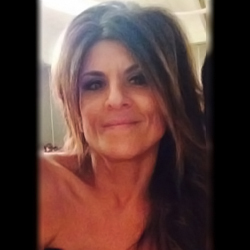 In 2008, Angela established Rydalmere Motor Body Repairs. Your local and independent workshop offering all types of panel beating and painting for autobody repairs. 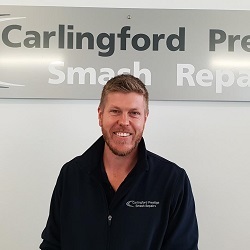 Carlingford Prestige Smash Repairs has been operating for over 30 years by George and Jill, and in 2012 their son Daniel took over the business. The business operations started in a small country town called Coolah (near Mudgee) and then moved to the Carlingford area. 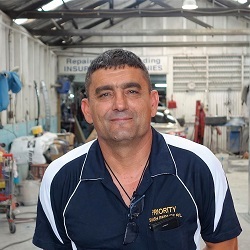 As the business grew, bigger premises were acquired in neighbouring suburb North Rocks, continuing the company name 'Carlingford Prestige Smash Repairs' as it is recognized within the local community. The North Rocks premises have allowed the business operations to expand and enabled us to explore different automotive equipment technology and services we provide. Our repair shop is equipped with the latest diagnostic tools and scanners. Along with technology advances in equipment, we believe in delivering outstanding service to our customers. We understand that having a vehicle accident can be an inconvenience, so we strive to ensure the experience is as easy as possible. 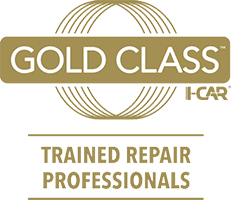 To help achieve this quality standard in repairs, we believe it is important to create and uphold a great workplace environment for all our employees. The positive relation and environment is reflected in our employee’s workmanship and attention to detail. 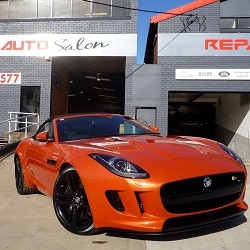 A preferred panel beater and repairer to all major insurance companies, Embassy “ontime” Collision Repairs has a Head Office and repair facility located in Northmead, between Parramatta and Baulkham Hills, and a satellite office is located in the Norwest Business Park for the convenience of our Sydney Hills clients. 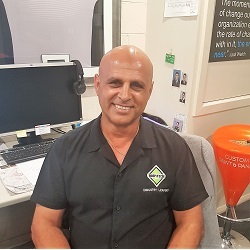 Embassy has been repairing vehicles in Northmead since 1966 and is conveniently located near Parramatta, Winston Hills, Pennant Hills, Baulkham Hills, Blacktown, Castle Hill, Glenwood, Bella Vista, Kellyville, Rouse Hill and Toongabbie. Top 10 reasons to choose Embassy for your collision, panel beating, paint or fleet repairs: 1. 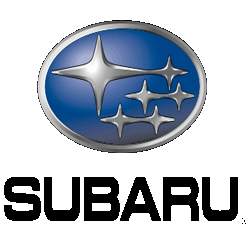 Loyal customers have trusted us with their vehicle repairs for over 50 years in the same location! 2. Our customer satisfaction surveys continue to reveal the highest possible levels of satisfaction. 3. Your vehicle repairs deserve the best equipment and materials available – e.g.Spies Hecker Paint & Finishing System 4. Your collision affected car goes on the Car-O-Liner Chassis Alignment System, so your doors close correctly again! 5. Two locations for your convenience – Northmead & Norwest 6. Onsite and offsite accident damage assessment. 7. Open Saturday mornings for quotes. 8. 24 hour emergency towing. 9. Late model loan cars, including commercial vehicles to make your life easier while your vehicle is repaired. 10. Fleet & Corporate managers trust their fleet to our specialist fleet maintenance and repair systems. 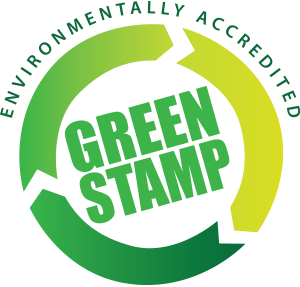 We take pride in our work and warrant it based on factory standards and industry regulations, however more importantly we care about doing things right. 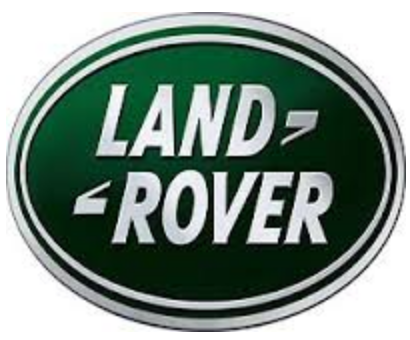 Since this Business was formed in 2004 we have repaired the Prestige brand of vehicle. This contact has encouraged us to train our staff, invest in the latest repair tooling and machinery to enable us to return every vehicle back to pre accident condition. The vehicles of today are becoming more complex in design and fabrication which commands the expertise we are trained in to repair them. 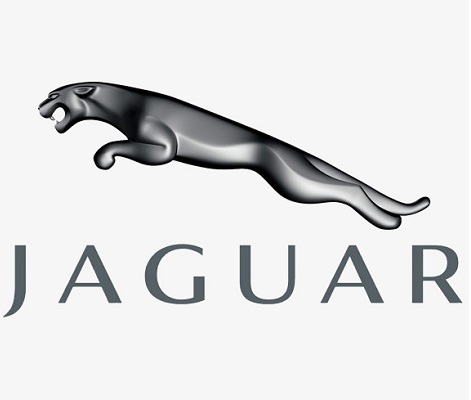 We are endorsed by Jaguar Land Rover Australia and wear their badge of Excellence as a testament of their trust in our ability to repair their brands of vehicle to factory standard. We are also highly regarded and recommended by Audi Parramatta and the Trivett group enjoying a working relationship with them since 2004. In 2004 Prestige Auto Salon was purpose built as a beauty salon for motor vehicles requiring cosmetic or non-structural repairs. Our focus was cosmetic paint and soft repair more than crash repair. This service is an ideal way of preparing a car for sale, changing over a car at the end of lease, or simply bringing your pride and joy back to its very best. We have been in the crash repair industry for many years and saw a genuine need for precision correction work in the areas of spot repair, scratch/swirl removal, paint imperfection, plastic bar scrapes and other areas of cosmetic repair especially for prestige vehicles, mainly due to the expensive nature of replacement parts. We feel, why replace it if we can repair it and achieve an economical & as new result. Fantastic service Glasurit original paint was used to fix and I got my car back in new condition in just 2 days. Farooq is a gentleman that guides you in a proper manner and deliver high quality service. Their facility is equipped with all the required latest technologies. Highly recommended. This was my first experience in such incident and my fear was handled wonderfully by Farooq. I would certainly use the service again although I hope I don’t need it. L&M Smash repairs did a fantastic job on my car. Not only was their workmanship of a very high standard, their communication and courtesy was exceptional. They went the extra mile by arranging a rental vehicle for me to pick up (from their premises) when I dropped my car. They also cleaned my car inside and out. Highly recommend.